OEM PART: Your original HVAC compressor may only work on one speed, blow hot air, or worse, not blow at all. If your air conditioning unit has any of these symptoms, it may be time to replace your AC relay. SUPERIOR PERFORMANCE: Working AC may not seem like a big deal to have. But when it hits the dead hot of summer and rolling down the window just won't do, feeling that cool breeze on your face would seem like heaven. Fix that AC relay and say goodbye to sweating in your car. 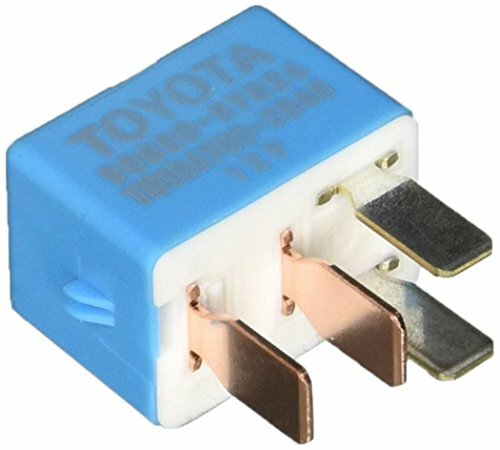 WHAT YOU GET: 1 A/C Compressor Relay for TOYOTA vehicles. Replaces OEM part numbers: (90987-02028) ( 90080-87026) (90987-02022) . 100% satisfaction in every replacement relay. Make sure one of these part numbers fits your vehicle. 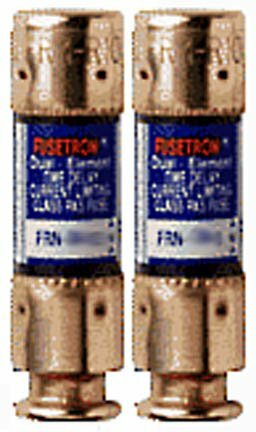 These relays are commonly used for A/C compressors, starters, headlights, horns, fans, and other accessories. 100% SATISFACTION GUARANTEE: Every Automotive relay is covered with a 12-month replacement warranty and a 30-day money back guarantee! 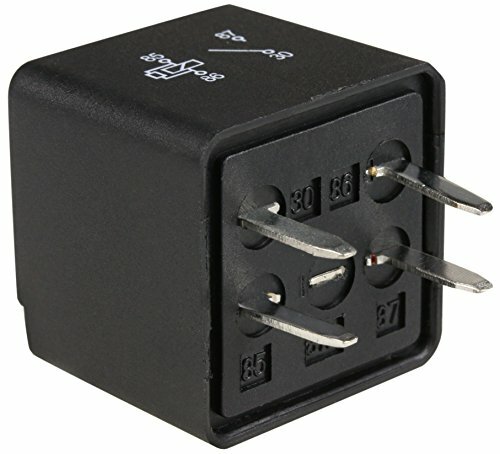 This 4-Prong Omron Multi-Purpose Relay will fit an assortment of Honda and Acura vehicles. It is mostly used for (but not limited to) the A/C, starter, headlights, horns, and fans. WHAT YOU GET: 1 A/C Compressor Relay for Honda and Acura vehicles. Replaces OEM part numbers: 39794-SDA-A05 RY1224 G8HL-H71. 100% satisfaction in every replacement relay. Make sure one of these part numbers fits your vehicle. 100% SATISFACTION GUARANTEE: Automotive relay is covered with a 12-month replacement warranty and a 30-day money back guarantee! If you're not 100% satisfied with your purchase, send it back and we'll refund or replace your part. Full 12 month replacement warranty & 30 day money back. So order now, and when you do consider buying a second for your other vehicle or your best friend. OEM PART: OEM Direct fit replacement parts built to last. All T1A White Box products are Genuine Toyota parts in a white box (instead of Toyota packaging) and are available to you at a fraction of the genuine part price. That means you get the same part as you would from your local dealership but in a T1A white box for a fraction of the price. Why pay more? EASY FIX: Your original HVAC compressor may only work on one speed, blow hot air, or worse, not blow at all. If your air conditioning unit has any of these symptoms, it may be time to replace your AC relay. The T1A White Box A/C Relay will function just as the original one did when you first got your vehicle. SUPERIOR PERFORMANCE: Working AC may not seem like a big deal to have. But when it hits the dead hot of summer and rolling down the window just won't do, feeling that cool breeze on your face would seem like heaven. Fix that AC relay and say goodbye to sweating in your car. The T1A White Box A/C Compressor Relays will cool you down over and over! 100% SATISFACTION GUARANTEE: Every TruBuilt 1 Automotive relay is covered with a 12-month replacement warranty and a 30-day money back guarantee! Not satisfied? Return it for a full refund - TruBuilt to Last. 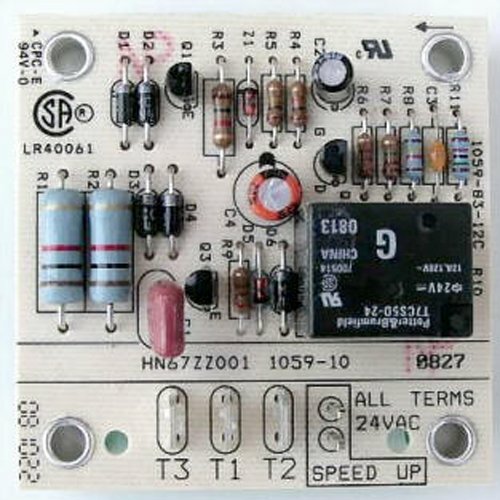 WHAT YOU GET: 1 A/C Compressor Relay for Toyota Lexus & Scion vehicles. Replaces OEM part numbers: 90987-02028. 100% satisfaction in every replacement relay. Make sure this part number fits your vehicle. Warranty: 30 day money back and satisfaction guarantee. 12 month warranty from manufacturer defect. 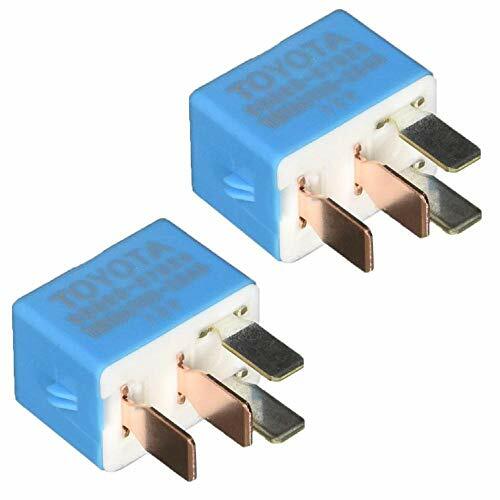 Our 4-pin relay is designed to be an exact replacement for Toyota's 90987-02006 OEM relay but much more affordable. 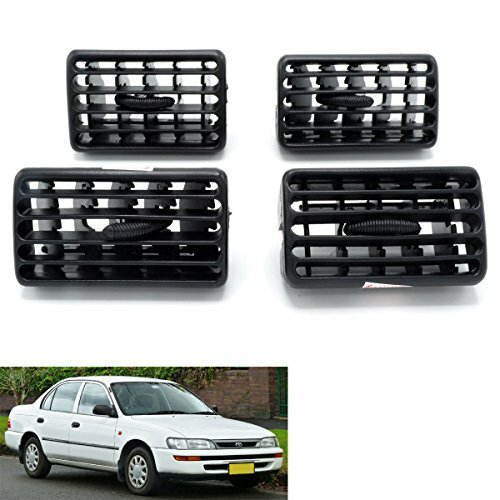 It fits most common Toyota and Lexus models: 1995-2005 Avalon, 1986-1991 Camry, 1983-1994 Celica, 1995-2007 Corolla, 1983-1996 Cressida, 1984-2007 Land Cruiser, 1990-1999 Previa, 1994-1997 RAV4, 1989-1997 LS400, 1992-1999 ES300 and much more. 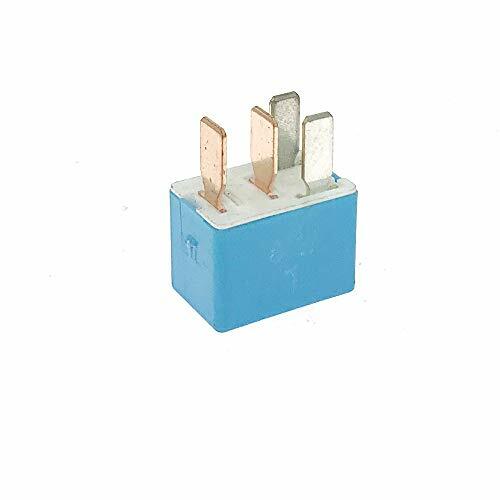 - DIRECT RELAY REPLACEMENT - Our 4-pin relay is a direct factory replacement for the Toyota 90987-02006 OEM relay only priced more attractively. 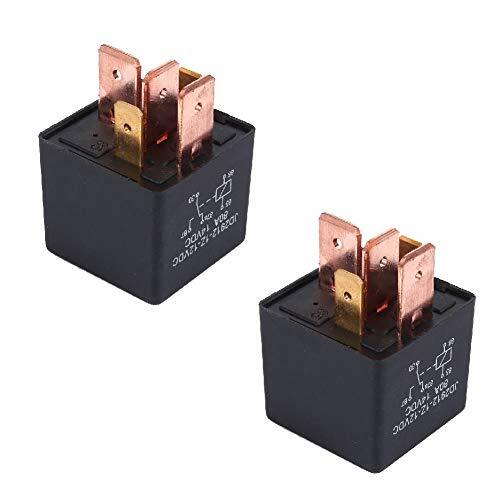 - EASY andamp; AFFORDABLE MAINTENANCE - Keep your Toyota or Lexus vehicle running at its best with this plug andamp; play replacement relay; installation takes just a few minutes. 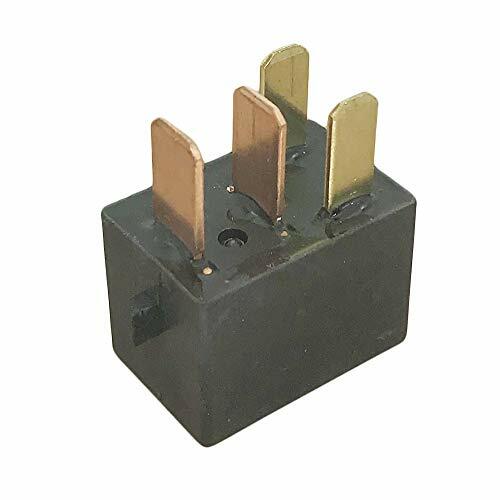 - OEM-STYLE QUALITY - Manufactured to the same quality standards as the Toyota 90987-02006 relay, the RTT7121A 12V 40A 4-Pin Relay delivers OEM-style quality. 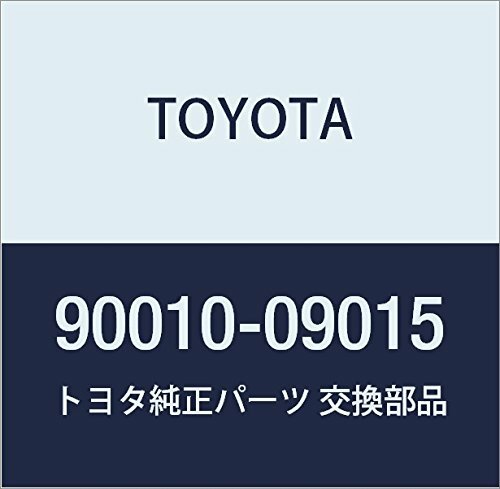 - COMPATIBLE WITH POPULAR TOYOTA andamp; LEXUS CARS - Fits popular Toyota models: 1986-1991 Camry, 1995-2007 Corolla Sedan, 1990-1999 Previa, 1994-1997 RAV4, 1984-1997 Tercel, and much more. 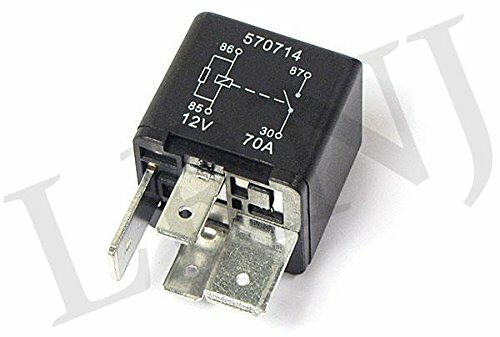 DIRECT RELAY REPLACEMENT - Our 4-pin relay is a direct factory replacement for the Toyota 90987-02006 OEM relay only priced more attractively. 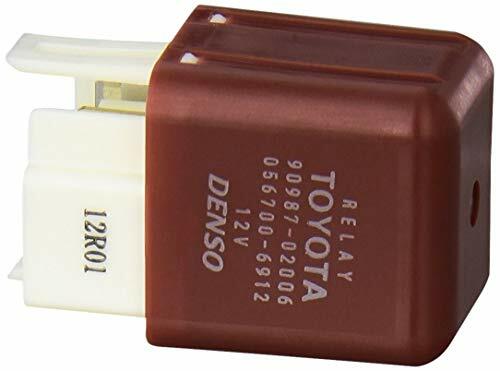 EASY AFFORDABLE MAINTENANCE - Keep your Toyota or Lexus vehicle running at its best with this plug play replacement relay; installation takes just a few minutes. 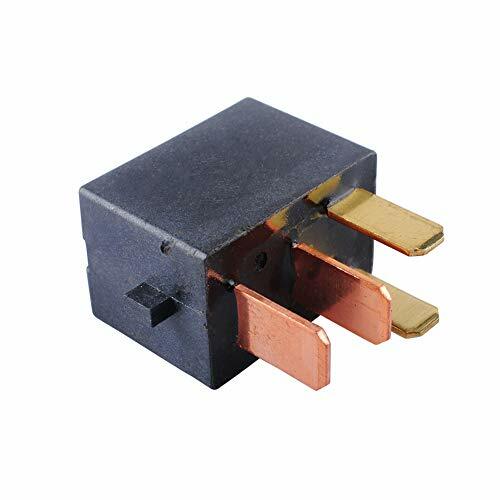 OEM-STYLE QUALITY - Manufactured to the same quality standards as the Toyota 90987-02006 relay. COMPATIBLE WITH POPULAR TOYOTA LEXUS CARS - Fits popular Toyota models: 1986-1991 Camry, 1995-2007 Corolla Sedan, 1990-1999 Previa, 1994-1997 RAV4, 1984-1997 Tercel, and much more. EXTENSIVE USE - Alarms, remote starts, HID headlights, pop doors, trunk releases strobe lights, fog lights, stereos, fans, air horns, and much more. 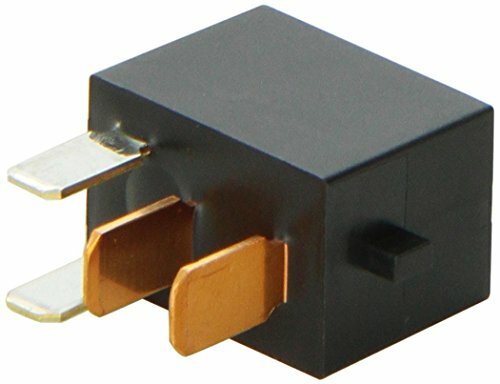 This product is a brand new 5-pin relay, which can be used in tarter killing, dome light supervision, trunk releasing, and polarity changing, and so on. 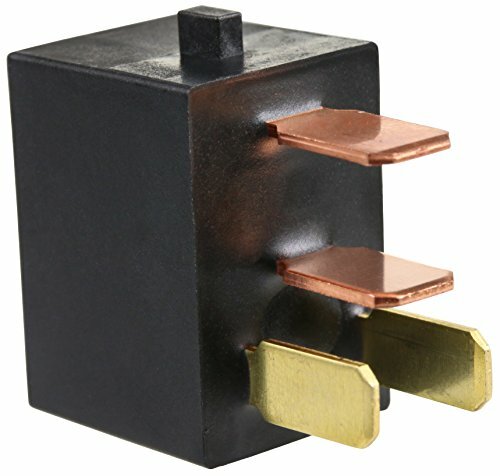 With 80A coil capacity,it is able to handle high current applications with ease and to change a low current to high current. 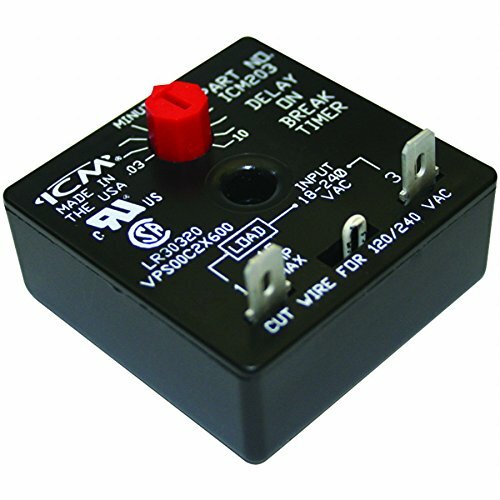 It is suitable for any 12V applications. - High quality and performs reliable and stable. 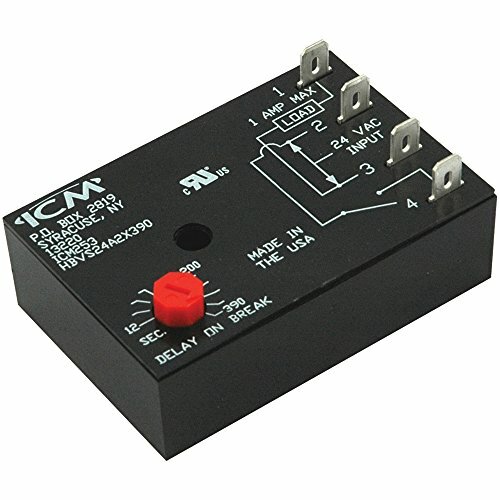 - Heavy duty on / off relay, change a low current output to high current. 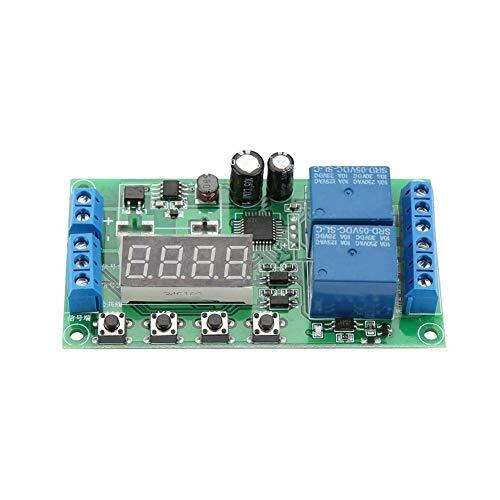 - 80A 5-pin relay and it is suitable for any 12V applications. 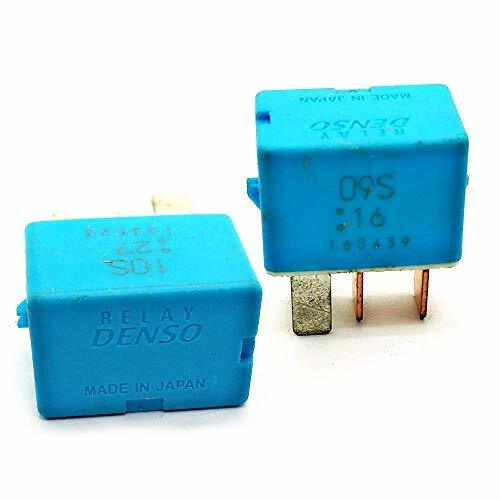 Size: 2.8 x 2.8 x 2.5cm / 1.1 x 1.1 x 1"
This relay is in good condition and is a genuine OEM Toyota part, not the cheap aftermarket stuff. This relay has been thoroughly tested here at our facility and is in good working order. We test each relay to make sure the "door" opens and closes, we also test for resistance on the coil. 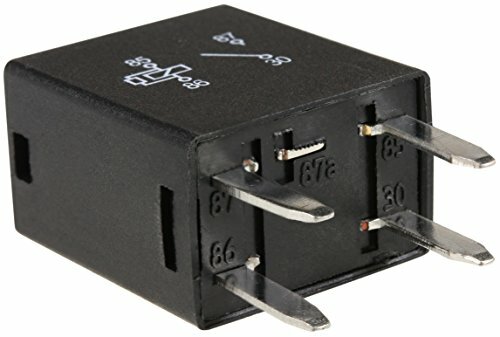 These relays typically outlast a vehicle, however, when one fails our buyers can count on us to deliver a good relay for a fraction of dealer replacement cost. We offer free shipping on this item and a 6 month warranty. WHAT YOU GET: 2 A/C Compressor Relay for TOYOTA vehicles. 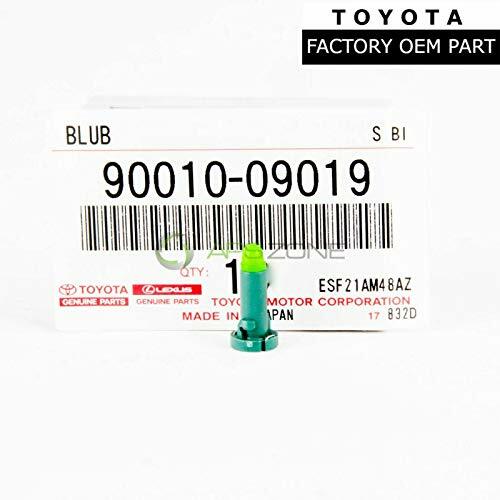 Replaces OEM part numbers: (90987-02028) ( 90080-87026) (90987-02022) . 100% satisfaction in every replacement relay. Make sure one of these part numbers fits your vehicle. Replace for 39794-SDA-A05 ; RY1224 ; G8HL-H71. It fits for 2009-2013 Acura TL ; 2004-2013 Acura TSX ; 2007-2014 Acura MDX ; 2003-2014 Honda Accord; 2005-2014 Honda Odyssey; 2006-2014 Honda Civic, 2007-2014 Honda CR-V.
TOP quality starter relays,contructed of high quality material for long lasting durability and reliability, meets or exceeds OEM standards. Fix with the AC relay and say goodbye to sweating in your car in hot summer. 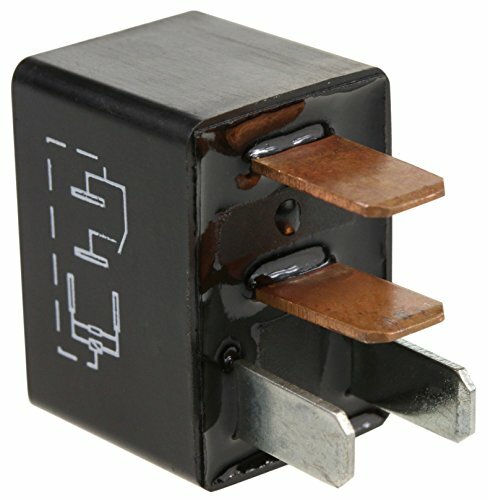 100% satisfaction with every replacement relay. This heater fan can either blow rapid heating hot air or cool natural air, push the button to "FAN" when you feel hot in summer. or hot days, push to "HEAT" when you feel cold in winter or the car windshield/window get blurred by frost or fog. Use: Directly insert the plug into car's cigarette lighter socket. It is ideal for defrosting, deicing or de-misting windows and windscreens. 1. Ideal for demisting, deicing and defrosting on windshield. 2. Warming up in winter or cold weather. 3. Cooling fan in summer or hot weather. 3 air outlets, large area winding out, can instantly heat. Heat dissipation holes scientifically designed. 180 rotatry base for users' pointed direction. High quality wire material, not burn hot and pose danger to car.